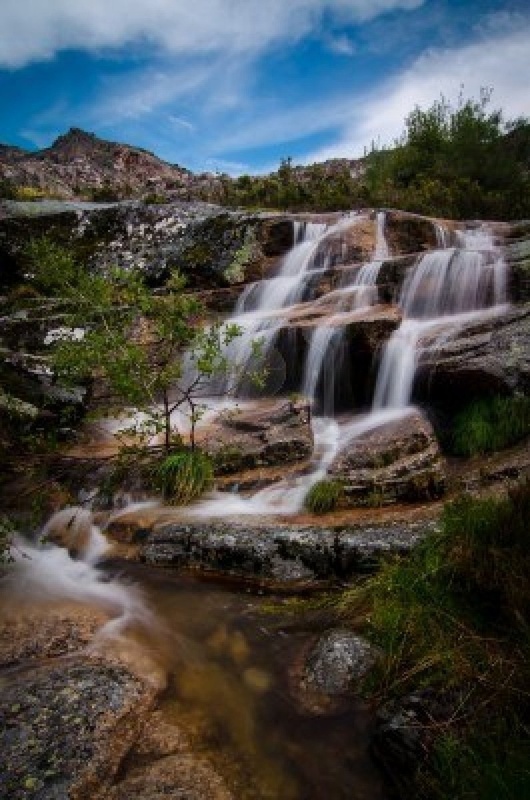 Serra da Estrela Natural Park is situated in the largest mountain range in Portugal - the Serra da Estrela, and is the source of the rivers Mondego, Zêzere (tributary of the Tagus), and Alva. The park is the largest natural conservation area in Portugal and occupies about 1,000 km². More than half of its area is located above an altitude of 700 m. At 1,993 m it contains the highest peak in Continental Portugal (named Torre) and a ski resort (named Vodafone Ski Resort). During the Quaternary period, the entire region was subjected to the action of ice and once this disappeared visible marks were left on the landscape. Valleys in the shape of horseshoes, ravines, polished rocks and lakes of glacial origin are just some of the formations that demonstrate the importance of the ice and snow in modelling the mountains.